The Gen9 Servers from Hewlett Packard Enterprise boost an increase in performance for your business, now offering 2400MT/s HPE DDR4 SmartMemory increase throughput and provides an additional tier controlled options managed by HPE OneView Management console. The ProLiant BL460c Gen9 Server Blade from Hewlett Packard delivers outstanding performance in the converged data centre space with lower cost. 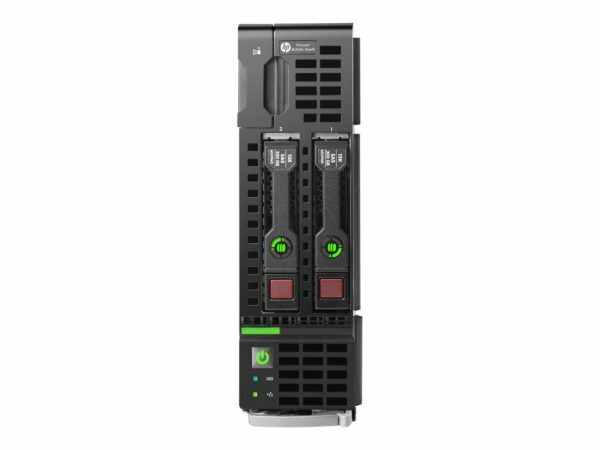 This Built-to-Order Proliant BL460c Server Blade from HPE boost up to 21 % increase in compute performance with Intel® Xeon® E5-2600 v4 processors . This 2-way 14 core and 16 slots PC compatible Server Blade comes with 128 GB Memory and allows for a maximum of 512GB. Maximise application efficiency with the HPE BladeSystem by Hewlett Packard Enterprise for a number of virtualisation and VDI workloads. Maximise up to a 33% throughput increase with Intel Xeon E5-2600 v4 processors and HPE DDR4 Smart Memory at 2400 MT/s (up to 2 TB).